We had a great weekend of throwing things out in our house. We had a clear purpose to what we wanted to achieve. As always with de-cluttering, we made a good start, but it shows how much more we’ve got to do! We were able to do one trip to the tip, move a filing cabinet into a space we created, and move things around in another space to fit a new bike in for number 2 son who’s a bit of whizz on a bike. December often seems a good time to clear out, before we get Christmas decorations out and create more clutter around the place. Do you take time to create space before the end of the year? 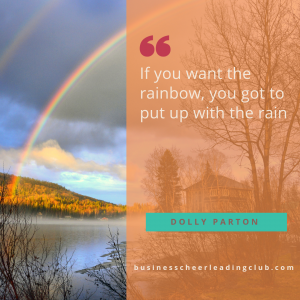 Do you do it for your business too? Or do you put things in a box and say, “I’ll look at them next year”? Whatever your intention is for December, whether it’s reviewing, planning, de-cluttering, or simply enjoying time with family and friends, it’s helpful to know what it is we want to achieve. It’s impossible to do everything we want, as there are only 24 hours in a day. 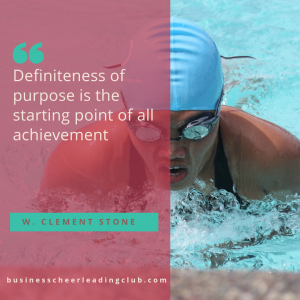 But with purpose we can achieve the important things to us. I’ve just written this post about Growing a Business in 2019, which may help you think things through if that’s where you’re at currently. It doesn’t matter where you’re starting from, or what you thought you’d have achieved in 2018. 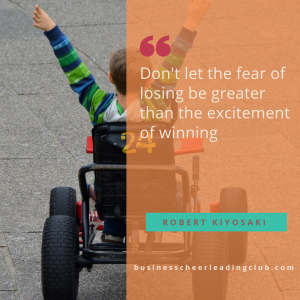 If your intention is to set up and/or grow a business, (new or existing) in 2019, then now is a good time to start putting your plans and systems in place. Wednesday 19th December 8-9.30pm: Group coaching where up to 5 members get the chance to take to the spotlight and work through an idea or issue with other members sharing their ideas. I’ve also got 2 spaces available if you’re wanting intensive support for the next 6 months to get confident and grow your business. This programme is part of our pre-Christmas offers to help you manage your budget after the recent investments you may have made, whilst juggling December spending which can always be tricky. Make sure you book an Explore call with me first to check this is the right programme for you. It was madness in my inbox and all over my social media feeds. I felt overwhelmed and I personally switched off and simply deleted anything that looked like it was trying to sell me something! I wrote a couple of blog posts to help others, and did a short video to encourage others not to get caught up with things that weren’t right for them.How did you cope with your inbox on Friday? If you’re reading this then it looks like you survived! Let’s get on with looking forward shall we? Focus on what WE need, not what others are offering us which may not be right for us. Our friends across the Atlantic gave thanks on Thursday, and I love that they have a special day for giving thanks. In the UK, with the reduction in church attendance, I believe we’ve lost that special autumn thanks we give at our traditional harvest time. I know harvest is not just for the religious, but we don’t seem to have replaced a religious tradition with anything else. I think we’re getting better at giving to others. To those in our societies who need it most, but also within our communities. We’re starting to break down barriers to give more freely. That’s something we should all be thankful for isn’t it? It may not be purely about harvesting from the fields our farmers tend, but what each of us gives to others. I was blessed with lots of love, support and kindness last week. 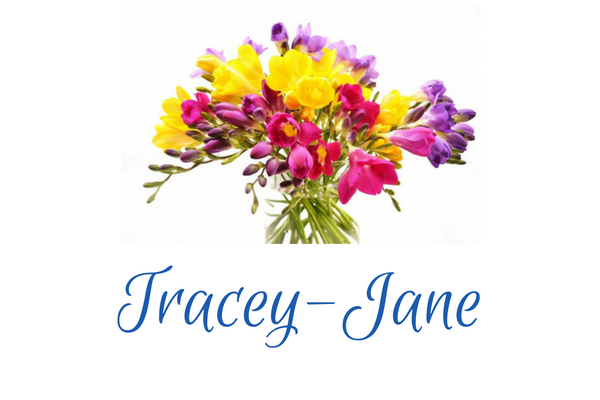 My family were touched by 2 tragic deaths of young people. It hit us all hard.The messages I received were just what I needed to keep myself together and know that I was important to others. You may think that you don’t need to message someone, or share a smile with a stranger, but you’ll never know what that gift you give will do for that other person. It doesn’t cost anything. And it could make the difference to someone’s day. Even their mental well being. Knowing that you care. 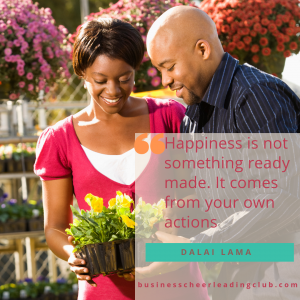 As business owners, we have many gifts and talents to share with others. We care about our customers and the teams we work in. Do we always show them? Do we thank them for their support and encouragement for us and what we’re doing? I imagine, without your team of supporters you wouldn’t be doing what you’re doing today. So how can you show your thanks to those who’ve helped you? What gifts can you offer to others to show you care? It doesn’t have to cost you money, or product. A message. A special offer for your special customers will make them smile. Is there someone who’s helped you you’d like to share your recent success with? Do they know what encouragement you’ve given them? I’m sure they’d love to hear how they inspired you, or supported you. We all need to receive as well as give. It’s part of what makes us human. 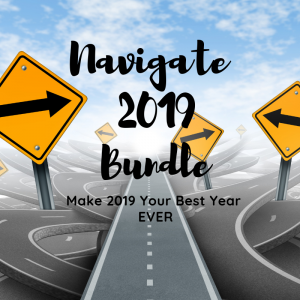 My gift to you this week is the Navigate Bundle I’m involved with sharing, from 19 business owners, who all want you to succeed in your life and your business. The amazing £27 price for this bundle (not one product is less than £97 full price), is only available until Wednesday. So please don’t miss out on this fantastic gift from all of us. It has a whole host of support, courses and even some year long memberships for your personal and business growth and development. My own contribution is my 10 week Get Your Website Working course (which I originally called “I’ve got a website, not what?”), usually £147. The course is on the new online learning platform the Focus Success Academy, which I’m pleased is almost ready for all courses and support to be launched on. I’ve bought two of these as gifts for special people in my life, it’s such an excellent gift. Anyone in your life who’d benefit from this amazing gift? Do you believe that? That if you believe you can you’re halfway there? I do. So many times I see people who are passionate about what they do, they’ve done lots of work to grow their idea and their business, but they don’t actually believe they’ll make money from their business. They have doubts. They aren’t sure they’ve done / are doing the right thing. They don’t believe that people will buy from them.If you don’t believe, why should others believe in you? It’s hard. I know that. I’ve had plenty of times when I haven’t believed in myself. It’s actually quite draining and I found the focus became about me rather than my customers and “my thing”, which then compounded the fact I didn’t believe! Can you see? 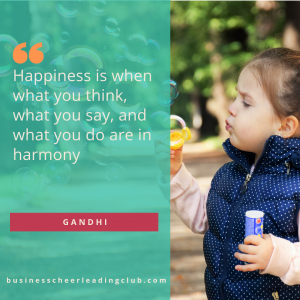 When you truly believe you’re doing the right thing, for the right people, and you’ve done your research, you’ve created the right message for your ideal customer, will they believe in you too. You then find that you’re also enjoying yourself more! And we all want to love what we do and have fun in our life don’t we? 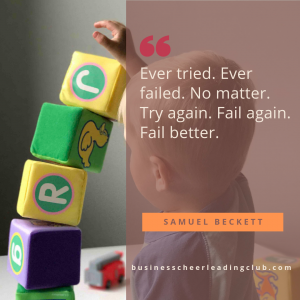 At the weekend, I went with my eldest to an event where I was shocked to learn that I hadn’t believed what my son was capable of. Yes, I know he’s talented. Other people have told me he has potential to be an Olympic athlete. I accepted it, but I learnt this weekend that I hadn’t actually believed it. It’s his dream too. This event made it very clear that British Athletics believe my son is one of a select group of 16 and 17 year olds who have shown potential to be our top athletes of the future. British Athletics are investing in this group, and giving them support, and encouragement, and their parents support and encouragement to achieve their potential. I now believe that my son can be an international champion from the bottom of my heart. It’s not going to be easy, the next 10 years or so as they reach their peak performance, but we’ll do all we can to support him to achieve his goal. When others can see, and believe, in you, your ideas, your products and services, how does that make you feel? How do you respond? 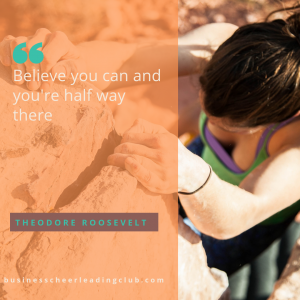 Do you truly believe in yourself then, or do you still have doubts? I find that talking ideas through and saying things out loud to others not only helps you hear your own thoughts better, but others have the opportunity to encourage and support you. If you don’t share, how can others support and share your products and services with others? I’m looking forward to the Action Learning Set today. The belief in their businesses and ideas that the business owners I work with get when they work in this way has been a turning point for them this year. They’ve taken action from one session and grown their business. The belief of others helps you to believe in yourself. With all this talk of belief, what do you truly believe you’re capable of? What’s your business capable of? What support do you need to help you achieve? Don’t just read this and then do nothing. Write down what you’d like to do. Reach out to your support team, or someone you’d like on your support team and get started. There’s nothing stopping you from growing yourself and/or your business. Only you. And I’d love for you to achieve. But you have to believe in yourself first. 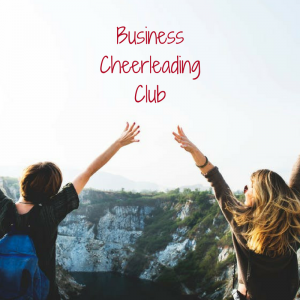 If you’d like your own group of Cheerleaders, join the Business Cheerleading Club, and have a whole team helping you believe in yourself and your ideas. It really does work – sharing, exploring with others, and working out your next steps. 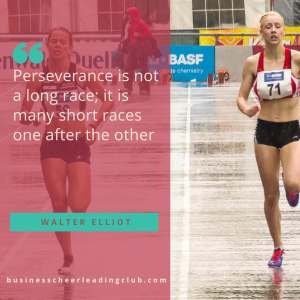 How do you ensure you believe you can? Leave a comment and let others know.